Purple has the original Purple mattress (and is keeping it) but recently added 3 new hybrid mattresses the Purple2, Purple3 and Purple4. How are they different and are they any good? Our new Purple mattress review will help you decide! Purple mattress has come a long way in 2 years! In 2016 Purple launched with their premiere bed in a box mattress. Then in 2018, they released three new Purple mattresses that are a higher end mattress with more support. The new models are completely different from the original Purple, they are deeper, have more advanced features and have coils. However, the only difference between the Purple 2, Purple 3 and Purple 4 are that they have different amounts of Hyper-Elastic Polymer and the mattress height. The number on each indicates the number of inches of polymer tops the mattress. Note: we may earn a commission should you shop through our links. Getting a good night’s sleep isn’t always easy! Many people struggle to get to sleep or they find themselves waking up during the night. This is often caused by a poor quality mattress which can cause stress to the body’s pressure points or change the natural alignment of the spine. Or your mattress can make you get too warm at night, keeping you awake. A bed in a box mattress like Purple can help you in your search for a good night’s sleep. They are technologically advanced mattresses that are delivered directly to your front door. Purple is a leading manufacturer of bed in a box mattresses. They have developed a cult following with many thousands of happy customers around the world. Compared to the new Purple mattresses, the original seems pretty basic now! This is still a great mattress and value, but it doesn’t really compare to the new Purple mattresses, as you’ll soon see. The original comes compressed and rolled up in a box. The new ones are made upon order and delivered to your bedroom flat. One of Purple’s key to success is their comfort grid technology (called Hyper-Elastic Polymer™), which is unlike almost anything on the market. In a world full of all-the-same foam block mattresses, Purple is truly unique. It’s made with an advanced polymer that can transfer the weight of pressure points to other areas on its surface. All Purple mattresses feature this polymer as the top layer. The grid is famous for the raw egg test which shows how it collapses around your pressure points but stays supportive everywhere else. You will see just how much heavier and deeper the new Purple mattresses are in the charts below (which also include prices). The new Purple mattresses come rolled up (compressed) and in a purple duffle bag but unlike the original, they’re delivered to your door and set up in your room for you. All of the Purple brand sheets, protectors and bases will fit the new mattresses as well as the original Purple. All are ordered online and come shipped to you in a box but the newer beds are delivered and set up. You will need a base as it does not come with a box spring nor are they recommended. We recommend the Purple Powerbase adjustable frame. We HIGHLY recommend you get a Purple brand mattress protector to go with your bed and put it on before you sleep on it for the first time. This greatly enhances the life of your mattress and keeps it clean. The covers on the new Purple have zippers and can be removed but they recommend spot cleaning (we’ve washed ours and let it air dry with no problem). Regardless you’ll want an easy to remove barrier to prevent sweat and liquids from getting into the interior of the mattress. The Purple mattress protector (which we have) is made of stretchy material and is specially made to flex with your bed and provide the most comfort. Can you finance a Purple Mattress? Yes, you can get a payment plan to pay for all the new Purple mattresses in lower monthly payments through Purple’s website. You can get approved within seconds, see all of the terms and schedule automatic payments before you agree. You may also qualify for interest free payments- as an example a queen Purple 3 starts at around $100 a month. We find the Purple cover to not only be stylish but it’s thicker and higher quality than any other online brand we’ve tested. The synthetic cover is 98% polyester / 2% spandex and is stretchy, breathable, and comfortable. This is thicker than the original cover and is made to stretch and move with the comfort grid system. It also has the word PURPLE embroidered on it in purple thread and purple thread throughout with purple piping along the sides. The purple label which gives the bed name and some facts about your mattress is on several sides. All Purple beds have Purple’s® Hyper-Elastic Polymer™ technology, this section is designed to transfer weight from your pressure points (shoulders and hips) and support the rest of your body. It is soft to touch but firm enough to support your entire weight. This is a layer of ultra-durable polyurethane foam that acts as a transition layer between the Smart Comfort Grid™ and the supporting layers. It is certified by CertiPUR-US. The next layer is Purple® Smart Comfort Grid™, a layer of individual cells that provide pressure relief and support. They are individually fabric-encased steel coils (which the original Purple mattress did not include). This adds structure to the mattress. These are also designed to be quiet (not make noise). The new Purple mattresses have better edge support. Plexus side panels wrap around the perimeter of the bed. In the original Purple the comfort grid extends to the edges and collapses more when you sit or lay on the edge. Now there’s a layer that provides more support so you can sit or sleep on the edge of your bed without feeling like you might roll off. 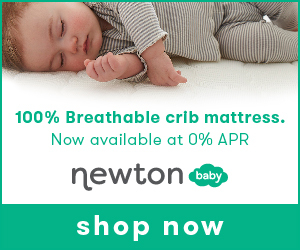 They are made from a strong, breathable material that helps to keep your mattress cool. If you’re one of 51% of people who sleep warm, you’ll love this bed. While no mattress truly cools, you’re not going to get sweaty like you do with most foam beds. The grid system as well as the breathable cover lets air flow between the layers as well as between you and the bed. Don’t take our word for it though. Purple was rated one of the coolest mattresses to sleep on by Consumer Reports. All new Purple mattresses are available in these sizes. See dimensions in the tables above. The only difference between the three new models is how thick the purple stuff is (the super stretchy polymer as they call it). The Purple2 has a 2-inch thick layer, the Purple3 has a 3-inch top layer, and (you guessed it) the Purple4 has a 4-inch top layer. The new Purple beds are also much thicker than the original which is a shortie at 9.5″ deep. Purple 2 is 11 inches tall, Purple 3 is 12 inches, and Purple 4 is 13 inches. What Makes Purple So Different? The main feature that sets Purple mattresses apart from products made by other manufacturers is the Purple Smart Comfort Grid. This is a patented material that does a wonderful job at transferring weight from pressure points on the mattress. The Specialized Comfort Foam is superior to the foam used by most bed in a box manufacturers. The breathable Plexus Side Panels and hypoallergenic cover help to keep you cool while you sleep. What’s the Softest Purple Mattress? The answer here may surprise you. Read our article about the new models and how firm or soft they are: is the Purple 4 really soft? What is Sleeping on Purple Really Like? The softness and support provided by the Purple mattress helps to keep your spine naturally curved as you sleep. It works well for both back sleepers and side sleepers. Suffer from back pain? A mattress can really help and Purple especially. Pair with the Purple adjustable base for even more relief. Just put in zero gravity and it’s like you’re sleeping on a Lazy Boy but you actually have room to move around (and there’s room for your dog, spouse, etc). The breathable top layer, Purple Smart Comfort Grid™ and supporting layers make it very soft and comfortable to sleep on. The unique thing about Purple mattresses is that they are both soft and firm simultaneously, thanks to the way that the smart comfort grid distributes weight. This is another feature that many people love. The Smart Comfort Grid helps to isolate you from other people who are moving in the bed. That means you are less likely to wake up if your partner gets out of bed or your dog jumps onto the bed. It has very low motion transfer – the flexible comfort grid seems to absorb movement. The breathable materials used in the Purple mattress make it easier for heat to dissipate. This gives you much more control over your temperature as you simple add or remove blankets to get the temperature “just right”. Memory foam is known to get soft as it warms with your body heat. Purple has no memory foam in it – ZERO. In addition, the grid is not a solid surface and is covered by a breathable cover. That means there is air flow next to your body. Purple is temperature neutral and you’ll never feel that stuck feeling like you can get with other mattresses. Purple mattresses all come with a 100 night trial (you can return the mattress in the first 100 nights and get a refund so you’re out nothing, not even shipping) – this is the same as the original Purple mattress. Just like the original Purple, the Purple2, Purple3 and Purple4 all come with a 10 year warranty. What happens if you decide you want to return your Purple mattress within the 100 sleep trial? It’s easy and quick. Just call customer service and they’ll ask you how you want to return it. Since it’s impossible to get it put back into the bag you won’t be asked to ship it. Options include, donate it to charity, or schedule an in-home pick up. The new Purple® mattress is more expensive than many other bed in a box mattresses but it’s a steal when compared to other showroom mattresses. Of course, you get what you pay for! Cheaper mattresses tend to use low quality materials and do not have the same technologically advanced features as a Purple® mattress. People who weigh more than 280 pounds may need to purchase the more expensive Purple2, Purple3 or Purple4 to obtain the same level of comfort. Purple says that you should not use this mattress on a box spring base. They recommend using the floor, a platform bed, an adjustable or foundation base. Whatever base you get, it must be able to support a lot of weight – you, your mattress and anyone sleeping on your bed. This mattress base supports up to 1,600 lbs or you can get the one from Purple. Purple also has an adjustable bed called the Purple Powerbase. The new Purple mattress is a remarkable product. The incredible technology used by this bed makes it one of the best beds on the market. And it’s one of the few truly unique beds because of the comfort grid. Of course, the cost is higher than some other bed in a box mattresses, but you really do get what you pay for with this bed. This is the bed we sleep on (a king Purple4) and it’s our top pick. We give it our highest recommendation. We’ve had one since Purple was founded and it’s held up perfectly with no indentations or issues. We continue to get a great night’s sleep on a Purple mattress! Most people buy their Purple mattress from their website. However, you can also purchase an original Purple mattress from selected retailers like Amazon. The new Purple mattresses are also at select Mattress Firm locations. What is the new Purple mattress made of? Responsive Support Coils: Individually fabric-encased steel coils. How much do Purple mattresses weigh? The new Purple mattress are heavier than the original, with the Purple3 King size mattresses weighing over 200 lbs. How long is the warranty on Purple mattresses? The warranty is 10 years and you have a 100 night trial period. Has the Purple mattress cover changed? The new cover is slightly thicker than the last one and instead of being quilted like the original, it’s one piece, and stretchy. You can pull up on it and lift the whole top of the mattress cover up and it will bounce back into shape. That allows for the flexibility that’s key to this mattress so it can shift and move with your body weight while not waking up the person next to you. It’s truly unique in that way! The new mattress cover is removable. It unzips at the bottom and it’s one piece (not two like the original). Purple says not to wash the cover but to spot clean it. The issue is that you might have bleeding from the grey part onto the white. The custom stitching may not make it through the wash either. So be sure to get one of their mattress protectors. How much do the new Purple mattresses cost? Prices start at $1,299 for the Twin XL Purple2 and go up to $3,499 for the Purple4 Cal King. Can you get a Purple mattress discount code? Check their website for free upgrades such as a free Purple pillow or sheets with a purchase of a mattress. No code needed, it will automatically be added to your order. What did Consumer Reports say about Purple mattress? Consumer Reports hasn’t yet reviewed the new Purple mattresses but they’re ranked in the top 10. Read Consumer Reports Purple Mattress. Which new Purple mattress should I get? The choice is individual but the more grid the more bounce and submersive experience. We think the Purple 3 is a good selection for most people because we found the original didn’t have enough of the purple grid thickness as we’d like. The Purple 4 is ideal if you want to sink in more and/or are heaviest. This one is best for those who are very heavy who would otherwise hit the foam layer and not get as many benefits of the grid for cushioning your pressure points. Do any of the new Purple mattresses come in a full size? Yes, they all now come in a full. We hope you enjoyed reading New Purple Mattress Review (2018)! Do you have any questions about any of the new mattresses? Post a comment and we’ll help you out.